We’ve noticed an increase in internal training videos, HR recruitment videos, safety and process videos, C-suite culture videos and more… Turns out video is more than external marketing campaigns. Companies are developing their in-house agencies to match this demand for internal video and efficiency is becoming increasingly important. With more people in the business involved in the video making process, struggling to gather timely video feedback is a common barrier to a smooth video workflow: one in five Content Marketing World attendees revealed that "tangled review and approval processes regularly delayed their projects by over a week." Good news: today we’re excited to share an update to our industry-first video review experience with a new Selected Area Commenting feature. It’s easy and effortless and your reviewers will “get it” right away. In addition to pin-point commenting, you can now click and drag to select an area of review and provide accurate, actionable feedback to your media asset. Stakeholders and team members can place feedback exactly on the area where they want it on any video, image, and PDF asset you share with them. Content delays and feedback confusion begone! 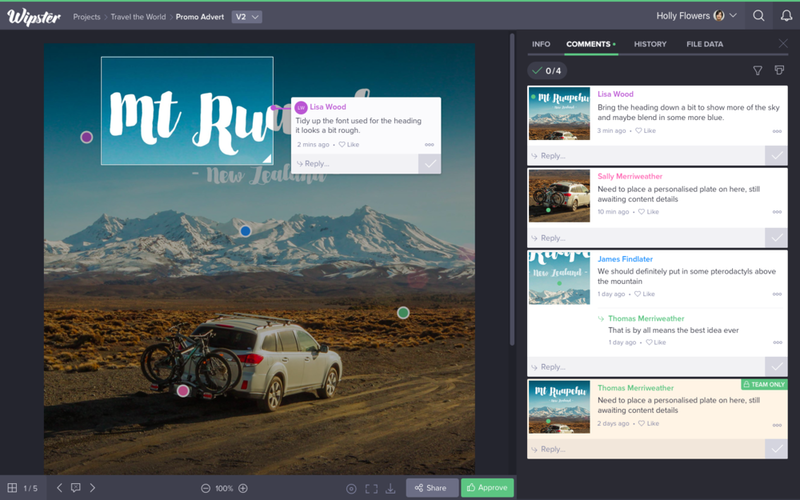 Now that your reviewers can select an area for review, you’ll receive more accurate feedback, more engaged stakeholders, faster review turnarounds, quicker edits, and ultimately, more video out the door, faster. Which makes Anna from HR super happy because she got that recruitment video in a week this time as opposed to a month. We’ve ensured that this new feature is simple and intuitive so that you don’t need to use your valuable time training new hires or technophobic reviewers. Team members and stakeholders won’t have to think twice; simply click on the area you want to comment on (just as you do with pin-point), drag, and then release. Voila! Selected Area Commenting is just one more way for your team to get quicker, accurate, and more engaged feedback for a smoother R&A process. Want to give it a spin? Sign up for a 14 day free trial and feel the difference of one central hub for your video content.